Westfield World Trade Center — ALIX is an international membership of dynamic and engaged women professionals. 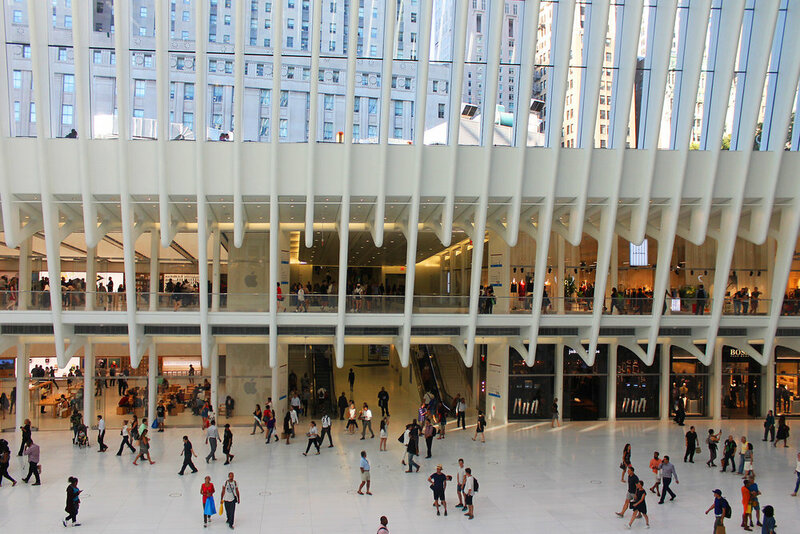 Lower Manhattan’s regeneration has its newest shopping destination with the Westfield Center. The retail stores are not as high end as those across the way at Brookfield place. they are all very familiar and in a variety of retail categories ranging from H&amp;M to John Varvatos. However, the real draw is the architecture it is set within designed by internationally renowned architect, Santiago Calatrava. With an Oculus as it centerpiece, it serves as the light-filled design inspired by the image of a dove being released from a child’s hands and placed within the structure so that on September 11, at 10:28 AM, the sun will shine directly through the central skylight creating a symmetrical shaft of light that perfectly bisects the Oculus floor. It’s an engineering feat and mesmerizing experience.